Visited Val and Chris on Sunday and decided to play some ‘old’ games rather than anything ‘new’. There are great games sitting on the shelves than don’t get enough outings because there is always some new eye-candy waiting to get to the table! 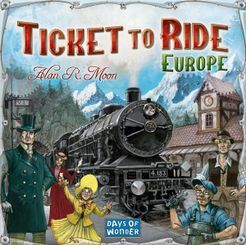 Started with Ticket to Ride – Europe. Of all the TtR variants this remains my favourite, and I like the base game rather than adding depots etc. from the expansion. 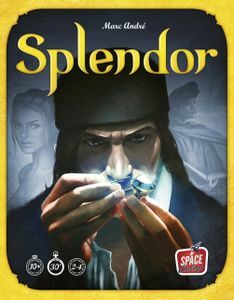 The game deserves its reputation as a modern classic, the rules are simple and the play fast, but there is enough tactical depth to keep it interesting and fresh. Val won convincingly, and interestingly the rest of us were evenly spaced behind her, separated by 10 points between each player with no bunching up (I came last). Next to the table was Quadropolis. 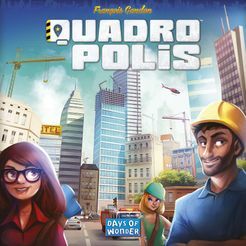 There are so many ‘town planning’ games out there, and many have too many options for scoring etc., the beauty of Quad is its clean mechanics. Only 4 rounds with 4 choices per round, but the range of options decreases as play progresses. Both Val and I went for the ‘port’ option and tied for first place. We also tied on the first breaker condition (number of meeples), and I just won on the second breaker condition (fewest unfilled spaces). So the game could not have been closer. We finished by playing 4 (!) games of Splendour, a favourite of Elaine’s. I think the weak theme stops this coming out more often, because the game play and mechanics work very well. Also, I can never seem to get the aristo’s to visit my ‘shop’, so end up scoring poorly. The poker chips are so tactile and I cannot simply leave them on the table, they have to be held and fiddled with! At the end of the day everyone had had at least one win and all were happy. We must have more old school game sessions, rather just chasing the latest releases. The fact these games are considered classics, shows they have stood the test of time and deserve their place on the table.